SI is a series of out-of-class sessions led by a student who has taken the course SI is offered in successfully. What do SI Leaders do? Evidence shows that when students are involved in the learning process, they learn the material much faster! 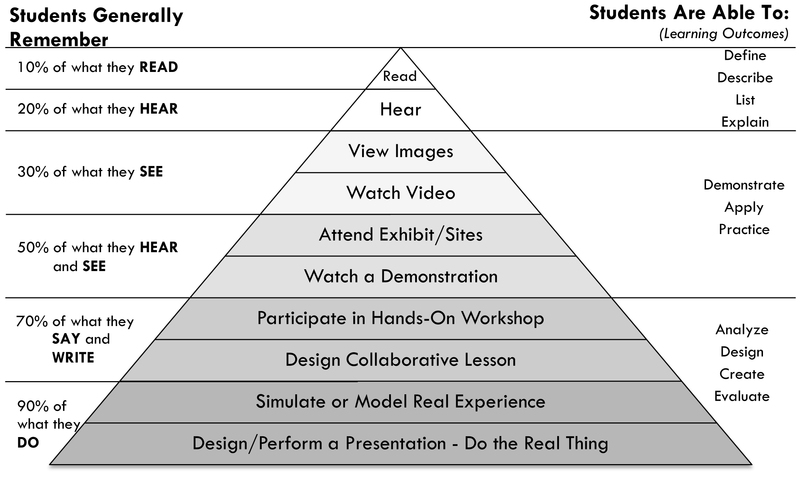 Students generally remember 10-20% of what they read and hear, and 90% of what they do (Dales Cone of Learning). SI leaders do not re-lecture or re-teach material, they help students practice and learn. 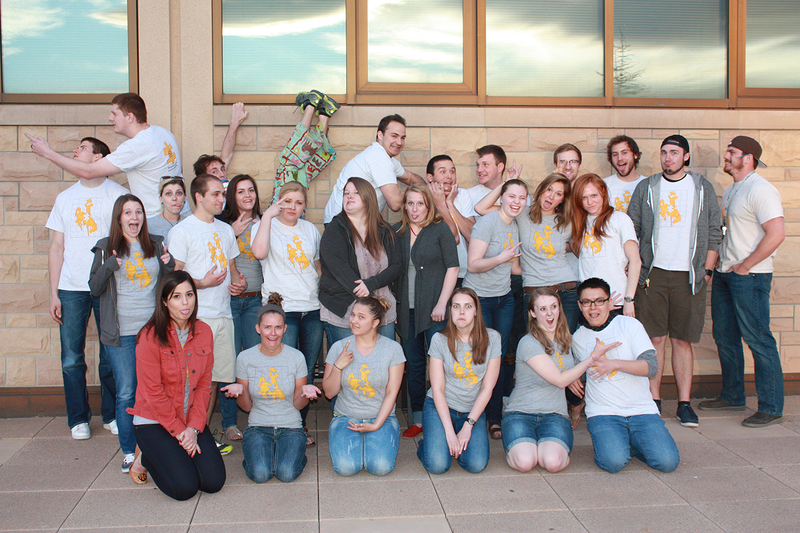 Option 2: Course Credit - SI Leaders will be enrolled in UWYO 3000, “Student Leadership in SI.” This class is a 2-credit, S/U course that will meet 3-4 times during the semester. There is a very low time commitment. Tuition costs are in effect, but SI leaders will receive a $200 honorarium to offset the course’s cost. You will learn more about the subject you're SI'ing for (this is especially helpful if you are going into the field or are planning on going on to grad school). You will see the "light bulb" go off in your students eyes - the most rewarding part of the job! SI looks great on your resume - and looks great on applications into grad school, med school, etc. Some SI Leaders find it difficult to make time for planning SI sessions. There is work outside of the 3 hours of class, office hour, and SI Session.